Today, when you order "Millennium Playing Cards Luxury Edition", you'll instantly be emailed a Penguin Magic gift certificate. You can spend it on anything you like at Penguin, just like cash. Just complete your order as normal, and within seconds you'll get an email with your gift certificate. 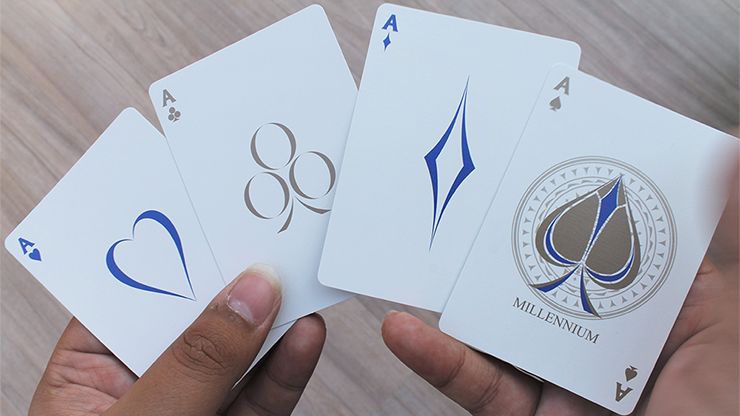 The Millennium Playing Cards Luxury Edition. 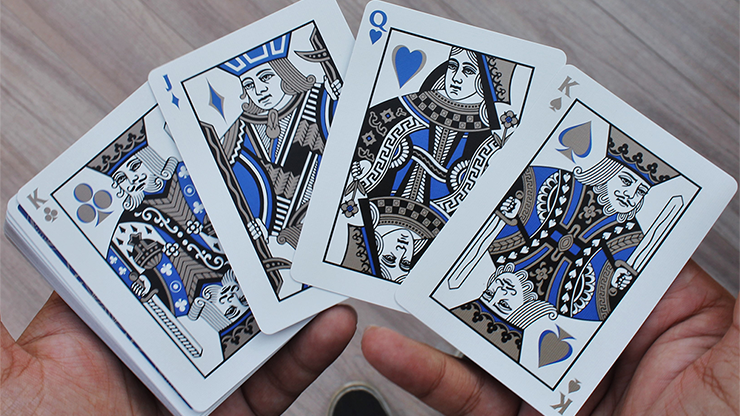 Designed by Keshav Mongia in the UK and printed by the USPCC in the USA. The design features geometric artwork put together in an ornate fashion. 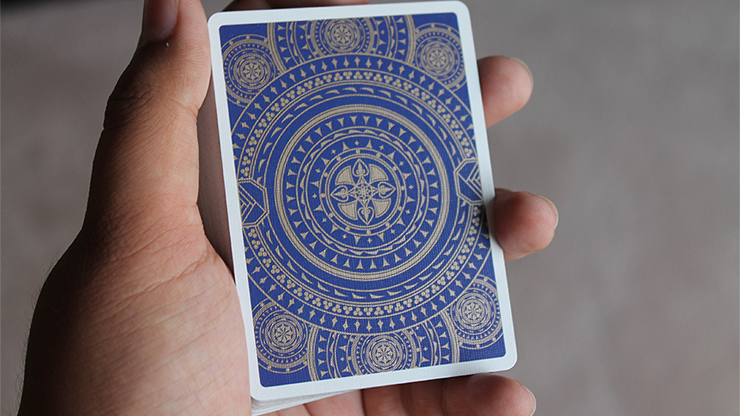 The Millennium Playing Cards Luxury Edition features a beautiful deep blue back with gold features, creating an elegant design. 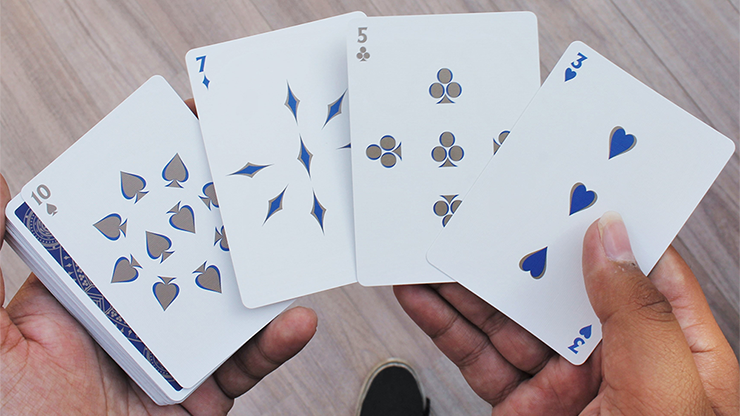 The cards feature metallic inks to add to the luxury feel of the deck. 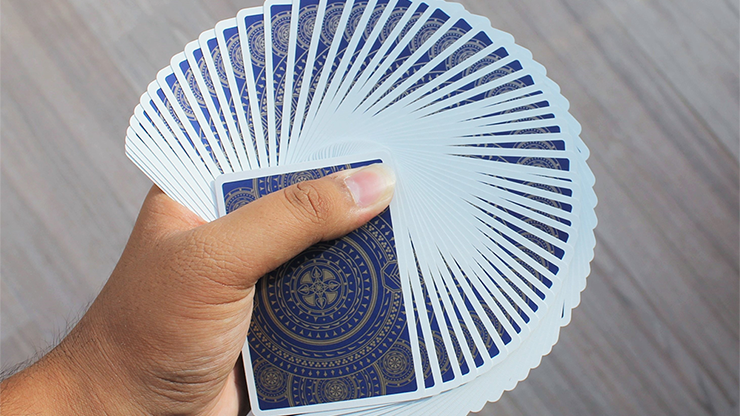 Adding to its sophisticated uniqueness, the traditionally red hearts and diamonds are blue - and the traditionally black clubs and spades are gold. 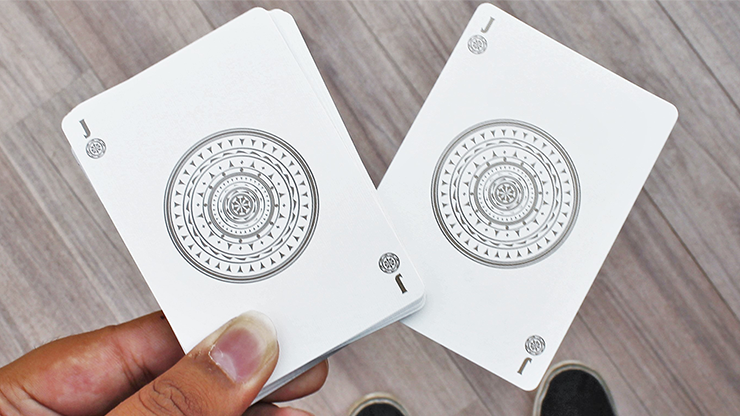 The Millennium Playing Cards Luxury Edition is a limited edition print with USPCC, so grab them while you can!